Brad - So, right around that time, you and some the cast appeared on The Donahue Show, which I loved growing up, what do you remember about that day? Brad - I remember that they announced on Donahue that Twin Peaks had been renewed for a second season, do you remember if you had any prior knowledge of that announcement? Sheryl - I think I probably would have. I don't remember a hundred percent but I imagine that we would have known before that. Even if it was just right before that. Brad - So for the first season of Twin Peaks everyone pretty much existed in a vacuum. All eight episodes were shot before a single one aired. Then it aired. You've got all the high ratings, all this buzz in the press, everyone knew about all the actors etc. Do you think all that attention and pressure, maybe, had any affect on the show going into the second season? Sheryl - You know, that's a very interesting question. I think, unfortunately, part of the culture we live in is not very kind. There is a part of our culture that finds entertainment in other people's failure. You know, whether it's Twin Peaks or whether it's something else, anytime someone or something is built up then it's almost inevitable that our culture is going to want to turn around and tear it down. So, I do believe that is sort of...that's there, I mean I've seen that happen time and time and time again with celebrities or shows or whatever. At the same time, that doesn't discount whatever happened on Twin Peaks the second season and because I was so young at the time and didn't understand the workings of networks and TV shows and everything, I'm sure there was a lot going on that we, I, didn't know about. You know, networks have a lot to do with how they promote it or what time slot it goes in, how they feel about the show. Twin Peaks was a very specific vision and we had amazing directors come in and direct. We had amazing writers come in and write. Some people think they didn't stay as true to David's vision, but...it's television. When something has a long story like that, it's hard because one director can't stay there and direct every single episode for two years. Do you know what I mean? We were fortunate enough to have a lot of really great directors come and guest on our show. When you have a show like that, you're never going to make all of the audience happy, with that many characters and that many different storylines, you know, people are going to want to see people get together who don't ever get together, people are going to want to see characters brake up who never brake up, you know what I mean? You just do the best you can to follow the story. Brad - Season two was really different. David Lynch came in to direct the first three hours and really set the tone with messages from outer space, violent sequences with Killer BOB. When you look back at it now, what differences between season one and season two did you notice? Sheryl - Honestly? I think to answer that question fairly, I'd have to really go back and watch the episodes and I haven't seen it in twenty-five years. So I would really want to be clear and objective answering that, you know for me, acting in it, I can't even sometimes tell the difference between the Pilot and the film, because to me, my job was to tell Laura's story and to tell Maddy's story. So, those all run together as one story. I don't differentiate Laura's story as the film and the television show. To me, it's all the story of Laura, so sometimes I'll think something happened in the TV show but actually it was in the film (laughs) Do you know what I mean? Sheryl - Because my job, what I was asked to do was very different, you know I can't even remember any separation between the first season and the second season. I would really have to go back and watch it and really go back and watch it and probably look in my journals and remember where I was and what was going on. Brad - I think a better way I can phrase that question is, did the darker tone of season two affect you at all as an actor? Sheryl - No, I mean for me because of playing Laura, I always felt the darker tone. You know, I don't know how much darker you can get than being brutally murdered as a teenage girl. That darkness was never not there for me, for my character and the double life that was going on, was, I mean that's dark. So, I was never part of the lightness and the humor and all that other stuff. That wasn't even part of my storyline, so I don't even have any references to that sort of stuff. 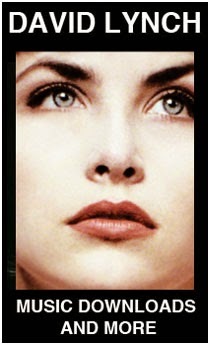 Even as Maddy, even though Maddy's storyline was a little bit lighter than Laura's, it was so connected to Laura's and it was so tragic, that was dark for me as well. Brad - Speaking of dark, what was your first scene like with Frank Silva in the train car? How did you prepare yourself to take that on? Sheryl - You know...It's very scary material. It's very scary material because it happens all the time in real life. That part of it, at least for me as an actor, I'm very aware of when I'm working on material like that, you know, I get to go home at the end of my day and wash of everything and take a shower and try and get some sleep, I usually can't sleep after those kinds of days. I couldn't have worked with better actors in terms of their kindness, Frank was an angel of a man. A dear, dear soul. David created an environment for us that made us feel taken care of and safe. I've often said that in acting school they teach you how to develop a character and how to bring in a character. But nobody teaches you how to let go. I would like to, at this point in my life, to work with young actors and help them let go of their characters, because when you go into that state of mind like that and allow yourself to go to those places, it can be very difficult to come out of it or to shake it off and not feel, for lake of a better word, haunted by it. I was fortunate enough that by the ending of the filming of the film, that I went on a trip with my family and that was probably the greatest thing that I could have done at that time, because I needed to do something so dramatically different after the filming of Fire Walk With Me. Again, I'm blessed to have known Frank and the dear man he was. Sheryl - Yea I know. He really was an incredible man. Brad - What emotions did you feel when you watched the dailies for that scene? Sheryl - Well, I never watched dailies. I never have, so I don't ever see anything until it's finished. Then I usually only see things one or two times. If I see it more than that, it's because I have to go to a screening or something and I try not to even watch it too many times after that. You know, It's disturbing, again, (laughs) I tend to think a lot of my parents and how difficult it must have been for them to watch. God bless them for continuing to support me as an actor knowing that was my first job of all things, you know, that they had to watch their daughter go through that. That's very difficult. Even though they know it's just acting, as I said before, unfortunately this actually does really happen in real life. Brad - So, speaking of surrealism, there is a scene of you, James Marshall and Lara Flynn Boyle singing the song 'Just You and I' and it's juxtaposed with this really frightening image of BOB. It's such a classic David Lynch moment, did you actually sing on that track? If so, what do you remember about doing that? Sheryl - Yes, that's actually my voice and that...see it's funny, even though that was twenty-seven years ago, I don't remember doing the Phil Donahue Show but I remember being in the recording studio with Angelo Badalamenti and his musicians as clear as day! As if it was yesterday. Going in there to sing, I was so scared but Angelo Badalamenti is one of my favorite favorite people and a dear dear man. I was like, if anybody can get me to sing it would be Angelo, and he did! So that was really us singing (big laugh) And that was a great day, a great day. That was so fun! You know, anytime you get to do something as an artist that is in the medium that you're not usually working in, it can be really delightful to be able to express yourself in a different way. You know? And that's what that was. 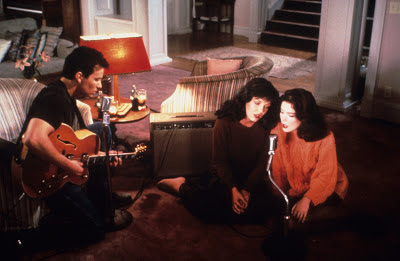 Brad - So, Angelo made so much great music for Twin Peaks, what did his music say to you? What role did it play in Twin Peaks? Sheryl - Oh it had a huge huge role for me. A lot like Jennifer's Diary, the second that I heard, I could just hear five notes of Laura's Theme and I was connected to Laura. Anywhere, anytime that I needed to be connected to that character I would have that music with me during filming and everything. It's like I knew who she was when I head that. Brad - I mentioned James Marshall before and you have so many scenes with him in the series and in the film, what was it like working with him? Sheryl - Oh he's fantastic! Again, I was just so blessed to be able have such great people to work with. He's such a good guy, such a gentleman. Down to earth, good actor. You know, really sweet man. Really kind sweet man. Brad - So David Lynch directed a few episodes of Twin Peaks, how was his direction technique compared to a lot of the other guest directors? Sheryl - Well...that's a difficult question because every single director directs differently. So it wouldn't be David compared to the other people because you can't even compare the other people to each other...you know what I mean? Even the other people have their own style. I mean, David created the world and he wrote the world, so just knew that world. Some directors work from a very intuitive place, some are more technical, some really communicate with the actors, some trust the actors to do what they know, so, some directors are very funny, some are shy, some are more visual, some are more emotional, so, we got to work with all kinds of, and again, just all great, I think you can always learn something from any director. Because it was his show, he had that level of comfort and could change stuff anytime he wanted. Brad - The Maddy death scene is still, over twenty years later, probably the most disturbing thing that maybe has been on broadcast television, certainly for a primetime drama. We know you had to do a fake scene with Richard Beymer as Ben Horne killing Maddy, what can you tell me about that marathon day of filming? Sheryl - Yeah, I had to do that three times. Because I had to do it with Ray, Frank and Ben Horne. (laughs) I think I could barely move the next day! It was...you just look at a day like that and you know, you just gotta get through it and it's not gonna be a fun day and that okay, there other days that are fun. There are stunt people there trying to keep you safe and it's a very technical day, even though it's as emotional as it is. Those are exhausting days emotionally and physically. The thing about physical days like that is your adrenaline is going, so you don't know how banged up you're actually getting and you can't help it, you know, you're doing scenes like that all day you're going to get a little bit banged up. Emotionally, it never left me that that sort of stuff happens in real life as well. It's heartbreaking. Again, I can go home and step out of it. Also, I was fortunate enough to work with three great men who were very consciousness and looked out for me and made sure I was okay. It's hard for them too, to do those scenes. I know you've probably heard Ray talk about having a young daughter home at the time when he was doing those kinds of scenes. It's very difficult. Brad - So, I'm curious about Richard Beymer because that footage seems to be lost. Did he have a different approach to filming that scene and was he directed the same was as Ray was? Sheryl - Well, I don't know the way the other actors were directed because David is very discreet...I don't know if he directs each actor the same way and he doesn't necessarily direct each actor in front of other actors, so I might not know what direction he's telling Ray, or Frank, or Ben. So, for me, he was going through the similar movements for the camera, they sort of all had to do the same thing physically...the choreography. Emotionally, I don't know what David told him about what his story would be. I mean, I think he knew at that time that he was a smokescreen, that he was doing that for the crew but that he didn't really kill Laura. Sheryl - Yeah, yeah, but unfortunately they had to do it that way because for how ever long it takes to shoot a scene like that and then before it airs, even it's just a few weeks, if there was anyone on the crew who would, go tell! That's why they had to do it with three actors. Brad - After Maddy 'leaves' Twin Peaks, you came back for the grand finale sequence. From what I understand it was filmed in a 24-hour marathon and was all improvised by David. What do you remember about the mood on the set and did you know it would be the end of Twin Peaks? Sheryl - Which scene was that? Sheryl - Oh yeah... (long pause) I kind of remember that. I don't remember for sure if it was the end, but I think, I think that I did. I feel like there was a feeling that...I knew. I wish I could remember more about that. If I saw the footage I would remember more about the filming of that day. Brad - There's a particular scene of you as the evil version of Laura is screaming, to me it's still the most terrifying moment in all of Twin Peaks, so it was a job well done! Sheryl - Oh is that where I have white eyes? Sheryl - Oh yes, I do remember that! I think that was (laughs) one of those days where you don't have to understand it, just go with it! (laughs) Well you know I learned from the best of screamers - Grace Zabriskie! Brad - Speaking of the end of Twin Peaks, a lot of people think Twin Peaks didn't last because ABC was negligent and didn't know what to do with the show, why do you think, given the initial hype, the show didn't last into a third year? Sheryl - I think there are many different factors and I think the ABC factor is definitely one of those. Many times I have seen other shows that are fantastic come on the air and maybe it takes them a little while to get going and rather than the network give it a chance or move it to a more appropriate time slot, they just pull it. It's sad, it's so sad when that happens. I don't understand the inner workings of the networks at all. I definitely think it was a factor on this show. I don't know if it was one hundred percent, there were probably many different factors, that being a big one. Again, it's hard for me answering questions like that because I was so young. If that happened to me know, at forty-six after twenty-five years of experience, I would be able to know much more what happened and why a show didn't work, or why a show was pulled. But at that time, I didn't know anything, I had no reference point. I'm not sure, I mean definitely David and Mark and Bob and all of those guys would be the ones with more clear answers. 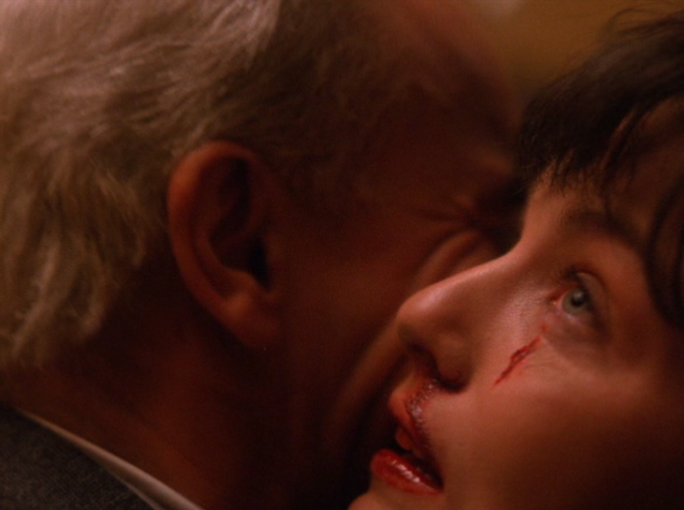 Brad - Moving on to Fire Walk With Me, It's such a dense and challenging film and some might say it's ahead of it's time, how did it feel to go back to Washington State and be Laura again? Sheryl - It felt amazing for so many reasons. I got to work with everybody again, because I got to work with David again, because I got to go back to Washington. I got to finish the circle was the most important thing to me because, I knew who Laura was. I felt her. But I never got to really play her before, even though I knew her and what her story was. So, it really did help me come full circle to finally give voice to her and express her truth and her story was really important to me. I was grateful for the opportunity. To work with David in that concentrated environment where you're making a film and it's just him for that month and you're there and you're in the character and you're in the work and you're shooting long days, you really kind of stay in that creative energy with him and with his group of people and all those other actors. That's such a gift. Brad - Kyle MacLachlan cut down his involvement in the film and Lara Flynn Boyle choose not to appear, do you think David was challenged with the film given those circumstances? Sheryl - You know, I don't know. That wasn't my business and so I never asked and I never heard. You know, my business was to play Laura and so my meetings with David were all creative meetings about Laura, they didn't have anything to do with anybody else. I had worked with Moira Kelly before, so, and adored her. So when David told me she was stepping in I was happy because I had worked with her and I was really proud of her because I knew...that was probably intimidating for an actor, but the why's and how's and all of that, I don't know. Brad - So recently there was a huge flurry of rumors that Twin Peaks would return and even the President of NBC said it would be a great idea to bring the show back. Are you aware of these rumors and would you be willing if David, Mark and Kyle were all willing to go back to Twin Peaks? Sheryl - I wasn't aware of the rumors until after the fact. From what I've heard those rumors have been put to sleep very soberly (laughs) and everybody has come out and said absolutely not, that is not happening! Would I be willing? I mean I'd be willing to work with David on anything. I would trust that if he was going to do something like this, (pause) he would know how do it. But from what I've heard, I don't know where those rumors started, I've heard no truth in them whatsoever from anybody. Brad - A couple of months ago I saw online where Jennifer Lynch had endorsed an idea to record 'The Secret Diary of Laura Palmer' with you narrating it. Is there any truth to that or would that be a possibility at some point? Sheryl - Yeah, Jennifer and I are trying to figure out how to make that happen. We just need somebody with money to pay us (laughs) to do it, you know? We need a publisher to get behind us and support us in doing it. So yeah, Jennifer and I are talking about it, we both want to do it, we're both on board, we both think it's a great idea. For twenty-five years people have asked her and people have asked me if there's a recording where they can get it, so we really want to do it (laughs) so, if there's anybody out there listening, or is reading this interview who has the money (laughs) who wants to support us in this project, thank you! We could use it! Brad - Well, I would be willing to chip in on that! Brad - Well, I have one last question for you. 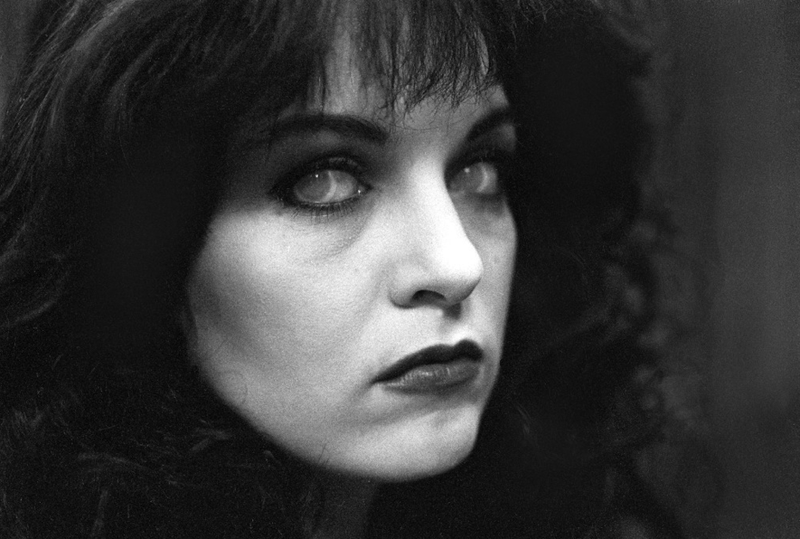 There is a rumor that Twin Peaks is coming out on Blu-Ray. Have you taken part in any special features or bonus material for that release? Sheryl - Not that I'm aware of. It's hard...I've done so much stuff over the years that, well I haven't done anything recently. So if they're using anything recently, no I haven't. If they're using something that I did years ago, which they could be, then I don't know. Brad - Well that is the last of my questions, I just wanted to thank you so much for your time today, this has been such an honor for me! Very special thanks to Paula K. Shimatsu-U.! What a wonderful, kind, well-spoken and classy lady! Sheryl's portrayal of Laura in FWWM will always be one of my all-time favorite performances. Thank you guys for the interview! Thanks for tuning in. Sheryl is nothing short of an angel. Thanks so much for this. A great interview. She's just great, and I'm so pleased you asked some of the questions I've always wondered about! Wow, that`s a wonderful interview, you`ve done a great work, Jerry, thank you so much for us to get to know much more about creating Twin Peaks and about Sheryl`s view on it. I would like to translate your interview for the Russian fans of Twin Peaks and post the translation in the social network vk.com, if you don`t mind (with the link to your blog, of course!). Reading this was immensely interesting! Maria, yes you may do that. Please put the link at the start of the interview. Nice to see you. Do a Kickstarter?! Who needs a publisher nowadays?